It passed by an automatic and massive majority of 45 to 2, with only Canada and the United States having the courage to say no. Australia, Cameroon and El Salvador abstained. Without any sense of shame, the resolution urges Israel to “facilitate visits of the Syrian citizens of the occupied Syrian Golan whose family members reside in their mother homeland, the Syrian Arab Republic” (par. 13). In other words, the U.N. human rights session had the gall to actually address Syria without mentioning a word about the Syrians now being bombed, gunned down and mutilated. Instead, Syria was mentioned only for the purpose of demonizing Israel. The hypocrisy gets worse. At a time when millions of Syrians are desperately seeking to flee Assad’s terror, a massive U.N. majority, acting through the only country resolution of the session, has just urged Israel to enable people — the Druze of the Golan Heights — to travel to Syria. No joke. Meanwhile, outside the U.N., in real life, 100 students of the community in question who happen to find themselves in Syria are, for reasons obvious to everyone on the planet except ECOSOC, begging the Red Cross for help to leave Syria and return to Israel. In addition, acting under ECOSOC’s permanent agenda item targeting Israel, the session also adopted its annual report targeting Israel. This latest one lists Palestinians killed by Israel without making any distinction between civilians and combatants or terrorists, and fails to say a word about Palestinian violence, including the murder of 17 Israelis by Palestinians in the same period. If that weren’t enough, the next day, on July 27, ECOSOC adopted another anti-Israel resolution, as proposed by the recent annual session of the Commission on the Status of Women, a subordinate body that suffers from the same single-country pathology when it comes to moral outrage. This was adopted 30 to 2 — Canada and the United States again being the only nations to act with moral clarity — with 17 abstentions. As for Syrian women, and those suffering in Iran, Saudi Arabia, Pakistan, Sudan, Yemen and elsewhere: nothing. As usual, the UN and all its quangos have demonstrated their, impotence, futility and ignorance. Surely the money they cost us all should be better utilised actually doing something constructive and productive. sadly the only solution as i see it is if Israel will go to war against syria and iran and if the u.n. says something, then let Israel expose their nuclear weapons, lets see who has the guts to say a word after they do so. look at china, killing and hushing its own civilians and they still get the right to veto vote. the solution is simple and unfortunetly unpleasent, china, north korea, iran, syria, lebanon and the list goes on and on need to be attacked unless they turn to a full functioning democracy like the u.s. and like israel. ONU became so useless to the world, costing a lot of our money, time, energy & perpetuating same victims: jewish people all over the world. With so many dictator countries in voting for the wrong things, all the planet is in danger! While the Un strains at gnats yet swallows camels whole, this corrupt body where many of its members will not move without price, worries about things that no one wants. Few seem to realise and certainly the & the UN is not telling anyone,that on the 27th July the Iranian war council held it last session and finished off its deliberations by confirming war will be within weeks.Once this one starts prophetically it will be the one that triggers the long predicted World War 111. The countries surrounding Israel are so well armed that it will soon devolve into a nuclear confrontation during which the first weeks will see one third of the population die in those nations immediately surrounding the Euphrates river. The very fact that you, Israel, have a “UN Watch” is proof that you are Paranoid in the extreme. I am not aware of any other country having this . . . Sure, we get reports from the UN but to have a dedicated publication . . . ? And anyway, since when did you ever comply with UN resolutions passed against you? Not many anfd that’s a fact too. As for Syria, if’n you’re THAT concerned about it, go DO something about it instead of Bleating like Sheep!! I’m sure Mossad could blow Assad into the next world if it wanted to – It managed with that Bus in Bulgaria after all . . . The UN has been nothing but useless for years. Their recent allowing of Palestine in as a country and other activities of the so called ‘Security Council’ are merely another rung in the ladder to the Arab world, and its Communist/Socialist cronies, in trying to rule the world together. The US should have withdrawn our name from the UN as well as all of our MONEY because it is OUR money that they truly depend on for everything. That is the only way that balance can possibly be restored to the UN in it’s proper proportions for the freedom of people everywhere. Nice try to Jake, the obvious propagandist here but the rest of the free world knows better. We are a bit more educated and think for ourselves instead of simply relaying indoctrination for the benefit of those who would see freedom die at any cost. Unless the people of America stand together and demand that we withdraw from the UN and take our money away, there will be no GOOD change within the UN. Well Jack and Joe are two useful idiots from two different sides. but the rest of the commentators need relax just a little bit (not entirely, that’s not healthy)… the more the different UN bodies defame Israel and ignore what is going on in the rest of the world, the closer we are getting to unrest against or disdain against the regimes who operate these bodies. like the Arab Spring for example, for decades the world focused on the exaggerated stories or lies fed to them by Arab regimes and Arab and/or Muslim terror groups, and what happens? people in Arab countries can’t stand to live under those regimes and immigrants to the west are speaking out against terror groups. that doesn’t mean that Zionist (I won’t use Israelis because I think that the current Israeli government is hugely anti-Zionist in it’s actions) shouldn’t fight lies, but things might not actually be so bad. “and its insane ethnic cleansing agenda.” None of this either–the Palestinians are thriving. Check the population numbers. “Do you really think Assad is killing his own people, just like Libya right?” Uh, what planet are you living on, Jake? The answer is YES–and there is ample testimony and evidence to back this up. A typical propagandist ploy to connect two things that are not interdependent and imply that because other is false the other must be false too. The logic is false. Jake – Yes Israel has done some nasty things to those poor Palestinians. However, did you know that more Muslims have died at Muslim hands in the last 10 years (Saddam Hussein, Hosni Mubarak, Moammar Ghadafi for example) than have died at Israeli hands in the last 50 years? The point of this article is to highlight the hypocrisy of the UN always being focused on the “Palestinian problem” when other far more horrendous massacres are taking place. Did you know that while the Khmer Rouge was busy massacring 3 million of its own people, the UN was focused on a few dozen Palestinians? No one is saying Israel is right for any of its actions – however its grossly out of balance to be forever focused on Israel when many far worse atrocities are occurring. Why we are aginst the Jewish State because they attack other Countries.Syria fight amonm themseolves. 1. Fully disengage from the Gaza strip – stop controlling sea and airspace, leave Egypt-Gaza border management to Egypt, Hamas and if one of those wants – the EU. Continue enforcing “no entry zone” along the Gaza-Israel border (even if this “zone” covers part of Gaza territory). For each act of aggression (rocket attacks, bombings, etc.) retaliate in the same manner as one state retaliates against a neighbor state attacking it. 2. Finalize the West Bank barrier and fully disengage from the West Bank east of the barrier – like the full disengagement from the Gaza strip. This should be enough for UN bodies to stop accusing “Israel occupation” for everything that happens to Palestinians. Of course, there will be still resolutions about Israel occupation because of “Gaza no entry zone” and “West Bank territory west of the barrier” – but this will be purely a bilateral border-territorial dispute and not a governance and interference in people’s will issue. Palestinians will be free (at least from Israel) to arrange whatever state and governing structure they want and Arabs will be free to help them in whatever way they want. The Israel-Palestine issue is actually a lesser evil in comparison to the Morocco-Sahrawi issue, where one Arab nation tried (and almost succeeded) to take over all of the land of another Arab nation. That conflict is over 30 years old and Morocco obstructs UN attempts of organizing Sahrawi self-determination referendum for over 20 years (changing facts and population on the ground in that time). Let’s say isreal is a peaceful nation that is being picked on by he UN for the last 60 years, poor Israel ! Now that we have established that fact, what about the Palestinians? Over 6 million refugees world wide and that number is really conservative. These innocent people have been left to fend for themselves through dictators and the western powers that allow these puppet regimes stay in power for 40 to 60 years at a time, all for the oppression of the Palestinian people, and let’s not forget democratic governments don’t allow there countries to exchange oil and wealth for the security of there personal regimes that act as dictators for decades at a time. It’s in isreals benifit to allow these governments salty in power because they are controlled only by wealth and greed, and if the people do revolt there will be war against the Israelis for sure, we see this now happening in Egypt today. Let’s get things straight, the Assad regime has enjoyed over 40 years of government abusing and controlling its people by oppression but bushar by no means has anything to do with the current situation, there is a war being fraught here that redirects the entire worlds powers to control the regime, a weak Syria is in the interest of only Isreal and a new transitional government would take 20 years to restablish it’s self, that’s much better than a strong Syria who’s current economic situation has strengthened its self in the last ten years by the current leadership of bushar, also the realty was that Hezbollah has also gained superior arms by the success of syrias economic growth, this was displayed when Hezbollah easily defeated the isreals military in 2006, this caused concern not only for isreal but the united states, it all equalled one thing, Iran! So the propaganda machine started working to set up this revolution internally inside syria, using the people’s devotion to democracy and the fervor of the Arab spring. Many jihadist groups that were outlawed in the world started arriving in Syria with the aid of the CIA and Mossad to strengthen the revolution backed financially by the GCC nations Saudi Arabia, and arms by the united states to defeat the evil shite government in Syria. Who paid the price? Not the Syrian regime not Israel, but the innocent population of Syria, including over 600 thousand Palestinian refugees. Now stuck who to choose to support, the realty is that this war is stragic for everyone, china, Russia, united states, isreal and last but least in the worlds eyes the Syrian people, who may think they are fighting for democracy but are really pawns for the world s powerful nations, this war is not a Sunni shite war, but a stragic war for Russia and china to have there last foothold in the middle east, and for isreal and united states to weaken the region even more and especially hezbollah and Iran, and while the worls speakers of the democratic ambitions of the syrian people, the realty once again is that this war is being fight for know one but isreal! This article is only another ploy for the Israelis to twist the realty that the UN should focus on the Syrian people, and leave poor isreal to itself, yes exercising it’s genocide on the Palestinian people, even if it’s only a few thousand as a few have mentioned on this blog? Let’s get the facts people this war is only in the interest to destabilize the region, just as they did in Iraq, libya, Egypt and every other Arab nation that starts growing economically and starts to prosper, it will be interesting to see the out come of the Arab spring 5 years later? Will it be a democratic nation or a destabilized country such as iraq split into more tribal conflicts and parts of countries separated to create more differences amongst a region that already has had its turmoil over the last 100 years. When I listen to those comments, I something feel too bad that those who are comenting should be much more educated, than they are, the likes of Jake and a host of others. People who do not have tanjetable things to say should atleast keep shut for once and allow those with meaningful things to contribute.Turkey prime minister always feel at easy to use Israel to gain political relevance while he continues to mascre those he called rebel in northern Irag without a single word of comdemnation from world body. Edogan should be facing war crime by now if the UN acted like a world body.Those critizing Israel are doing so to gain political relevance and nothing more. i think you all are ignorant when it comes to politics, especially middle eastern politics. It would be better to everyone if you start observing and commenting on the Olympics. It’s a far easier task for your simple minds, and even then, i’m not sure you will succeed or bring any value to the world. All that is happening in Syria is just a big plan set up by nations, do you think your opinion actually matters or is even remotely close to their agenda? Please save yourself the shame and time and shut up, you’re not doing anything useful in your life, your opinion isn’t worth the dust propelled by the force of your finger slamming the keys of your keyboard. You are correct, this issue is personal and political, the issue is Isreal was created to compensate for there losses in the second worls war, at the expense of the Palestinians, that’s the truth, bottom line. For thos of you not educated in the topic of the creation of the state of isreal, you should read how the original founders of the state of the state of isreal used terrorist plots to get there message across, the first planned terrorist operation in the hold land was in fact done by extreme Israeli Jewish zionist called Menechem Begin in 1946′ where a bomb was planted in the king David hotel where a Palestinian authority centre and British administartion office was located. That terrorist plot killed 91 people. That attack on Palestinains signaled the first terrorist attack on Palestinians, not from extreme groups like Hamas or Iran, but home grown extreme Jews creating the so called peaceful state of isreal, and this is a fact! Isreal is a state born of terror and deceit, backed originally by knowone, and now backed my the western world for the shame that they allowed to happen in world war 2. Again at the expense of the Christian and Muslim natives of Palestine. Isreal will use any power necessary to maintain its control of there occupied country due to the fact they have no legitimate claim to the lands that were stolen in early 1900’s and the world will never allow it to fail, if isreal fails it will reopen the wounds of the second world war, and spark even a more tragic event, so as long as there is weakened Palestinian people and a weak destablized region surrounding this state, the west is happy, if not a legitimate questioning over Israeli crimes will need to be held accountable, ya it’s easy for this writer to call on bushar al asad to be held accountable over its crimes in the last 2 years, but what about isreals crimes over the last 60 years, lets not confuse or deflect blame to the syrians, before blaming ourselves on the tragic events leaving the legitimate Palestinian people homeless for the last 60 years, stripping Christian and Islamic history of the region and replacing it with a story of past Judaism superior culture and history, this happen under the extreme views of a previous movement in Europe called nazi Germany, sets learn from our mistakes and call a spade a spade and call isreal and hold the isrealis accountable for its ethnic cleansing of a Palestinian identity that needs to be clearly addressed and not deflect the wrong doings of an other nation to hide its own crimes. ISARIEL IS A DEMOCRATIC COUNTRY AND MUSLIMS ARE SAFER THAN IN ISLAMIC EGYPT WERE ISLAMIC MILITANTS KILLED ARMY PERSONS while breaking their fast during Ramadan WHAT A HYPROCACY. lol. As always, all an ignorant racist like you can mention is the King David bombing. As if noone ever heard about you before you decided to enlighten people. Professor, you know when it happened, right? 1946. Do you know what year it is now, by a chance? So all Palestinians learned is to pick up some tactics from 1946 that Israelis abandoned and condemned ever since? The truth is: you’re a Hamas supporter and the worst enemy of the great Palestinian people. Your hatred towards Arabs and Palestinians is even bigger than your hatred towards Jews. Hopefully, once in your life you’ll realize that Palestinians are NOT dogs but people who deserve a better life, too. Until then, keep supporting your Hamas friends. I think the article is excellent – the UN is so biased and in denial that it is incapable of seeing things beyond that. I once heard an amazing statement around denial ‘my eyes saw but my brain refused to aknowledge’ and the UN reminds me exactly like this. They have lost all reason in their need to appease the Muslims. Israel is the only democracy in the region and its always been like this. I think this is an excellent article – the UN are so blinded by denial – I once heard such a brilliant statement on denial ‘my eyes say but my brain refused to acknowledge’ – it is axactly like the UN – they are completely useless and crippled in their need to appease and seek affirmation from the Muslims. Israel is the only democracy in the region and it has always been like this. Ray, in a growing boredom reading your mail was when I realized you got your knickers twisted. I wish you people who have absolutely NO idea how Israel came into being from the beginning of time would read encyclopaedia Brittanica. You need an education and the Britannica would be an excellent start and finish to your knowledge. You write absolute rubbish! Do yourself a favour and get some genuine knowledge re the Jews and the barbaric palestiniens. It is a shame how little the majority who writes here knows about history. Everything what the mainstream media is propagating is swallowed. Don’t it ever occure to those Moslem-haters that what is being said about Moslems nowadays had been said not even one hundred years ago to Jews and Jewish communities ? Don’t you know that ? there are old news paper from the turn of the 19th to the 20th century telling lies about Jews and accusing them for being responsible for this and for that. How much education gets the majority of US youth about general history ? Especially about the “Fertile Crescent” ? Nothing known about the Pharaonic Egypt where already about three thousand years ago the name Philistine was written ? Not known how many times the names and borders within the “Fertile Crescent” changed? Nothing seen how people are regarded whether they are Moslems, Christians or Druzes in nowadays Israel ? I wonder ! I wonder too to what use these lies again are – this time to Moslems directed. How sad this ongoing hating of other religions – and much to my regret nothing learnt from past desasters !! How sad for people commenting on something claiming to be on top of the world but not having the minimum standard of knowledge in history ! These Anti-Israel LUNATICS will NEVER go away and their onesided nonsense will make it harder for the Palestinians to EVER HAVE A STATE. Boohoo! Israel is playing the victim again. Everyone is bullying Israel. You poor thing. This article would have made me cry had I not by chance remembered that Israel has been using the same tactics for the past 60 years against Palestinians that the Syrians are currently using. Oh, and maybe they missed all the resolutions passed, and those that didn’t because they were vetoed by the upcoming superpowers (and what a bunch of upcoming superpowers! we’re going from bad to worse!). Oh well, c’est la vie, the Israelis will forever be complaining, and the Americans will blindly follow. When the majority of the world is telling you you are wrong, sit up and listen. Isael is the most deadlist of all democratic countries, the mossad(terrists)have committed and continue to commit acts of violence on innocent people. Barbaric-home made bombs(palestinian)vs. phosphoric laced tracer bombs(israel) that blow up hospitals and schools….burning skin that does not stop…hmmm… starving people,no medical supplies…When Israel bombed the hell out of Lebanon in2007 should have never happened and Israel should have been punished for this.Israel killed 10 canadian peacekeepers! Why is Canada and the USA always in support of israel?? ?even when israels record with human rights watch…is devastating. All religions should be banned on any form of control in a democractic process…lets keep democracy a process of laws and freedoms, not religion and controls. Fairytales and mystic gods were man made to control people at a time of kaos(be afraid or you will be punished)….have we not evolved from that ‘belief system” yet? Boohoo! Your hatred towards Israel clouded your mind and vision. Did you read the article? Israel doesn’t ‘complain’ about anything. Israel couldn’t care less about some irrelevant UN “council” full of worthless parasites. The author just brings their hypocrisy to your attention. And you also wrong in your claim that Israel uses the same tactics as Assad. Although it looks like you don’t mind the Syrian tactics – otherwise you wouldn’t support the ECOSOC’s position – so what’s exactly your problem? @Leo. Great comeback with the “boohoo”. Anyway, we can agree that Israel doesn’t care about some the UN council. They never did. They don’t care about the world’s (i.e. the worthless parasites excluding the US) opinion. But since superpowers come and go, one day you will find yourself lonely with no friends, and those worthless parasites you speak of will be only too ready to give you the same grace you gave them. Your opinion will soon not matter, your grievances will soon not matter, your suffering will soon not matter. You and I might not live to that day, but your kids and grandkids might. And they’ve got you and those who share your opinion to thank for it. Its funny how the only way you can justify my “claim” that Israel uses the same tactics as Assad is by saying that I don’t mind the Syrian tactics, as if I even showed any support to him and his goons. They deserve the same fate as the Israeli government! As I said before, stop complaining, wake up and listen to what the world is saying. You might learn something. The Syrain Opposition should not fight the present regime. You carry arms and fire and naturally the regime has to fire back. No one is going to be forced out of power in this manner.They should go for dialogue with international bodies and give Basher two years to clear his and his close ministers desk and leave the country or stay behind w/o being allowed of any participation in the open and free elections to be held in the last quarter of the 2nd year. Basher and his former ministers should not be allowed to stand for elections. Make them sign this on international bodies and openly state on wolrd TV that they will leave after 2 years. Freeze all existing accounts of theirs and the states money. If after 2 years they don’t step down then the opposition having had time to regroup and finance themselves for open conflict should then come out to the streets with the backing of world powers and no fly zone. In the interim 2 years no arrest should be made by the regime and all arrested are to be released unconditionally immediately. Un forces should be stationed in large numbers in the two years to ensure no one is arrested who had gone against the regime. It’s about time for US to exit UN, kick them out of NYC, saving taxpayers billions of $$$, if not more. Let them go bicker with each other in some 3rd world armpit of the world. Odd that God would pick an aparthied nation as his ideal. But then I am neither Jewish nor Muslim and so neither side can believe that I could understand. I suppose it is only aparthied if it is committed by a nation not treated as a fifty-first state. My Christian books tell me that God will bless those who help Jewish people. It says nothing about helping the secular state of Isreal conduct perpetual war. I not only read the books the Catholic cardinals selected to support a church to support an empire but, also, many of the books these politicians threw out so as not to offend the Roman Emperor. Thus, my reading and my God tell me I am to help everyone. Shockingly, that includes the oppressed Arabs in Israel as well as the warring clans in Syria. I do not agree with anyone all the time and that includes the UN but, perhaps the UN committee knew the whole world was focused on the very serious and immediate problems in Syria and the impossibility of knowing where that country will be six months from now and chose to address long term political issues that so many find so easy to ignore in the region. Leo, why is that you think someone hates Israel? No one in this thread hates Israel…Its just people telling what they feel and know…Israel is THE problem in the middle east and if you start with the “antisemitic” name calling crap I will tell you that 80% of Israel is not of semitic origin as is well known…In fact, why don’t we just call a spade a spade and rename it Zion? Ray’s or Michelle’s comments are just one more proof that hatred against jews is still present among narrow minded people like this Ray and that Michelle. It is now against Israel. At the time of Hitler there was no jewish state. Therefore it eas simply against jews. Now it is against israelis. The same sh… with a different odour. Palestine was the name of the Roman province covering BOTH sides of the Jordan river. The British empire created Trans-Jordan as a state which eventually changed its name into Jordan. So there IS ALREADY an all-arab State in the former Palestine. Try to distinguish an arab living in Jerico on the West Bank from another one living on the east side of the Jordan river. The same culture, the same traditions, the same heritage, the same food and music…only a different passport. Were North and South Jemen 2 different NATIONS or just 2 different government-ruled states? Is there an Arab Nation with over 18 different states and rulers or are there over 18 DIFFERENT Nations, all of them calling themselves “arabs”? When it comes to attack Israel, suddently the arabs feel like ONE nation. But the world apparently agrees that arabs killing thousand of arabs is a “inner matter” while any injury caused by an israeli is to be considered a very grave international affaire. Then the UN reacts with strong resolutions. Arab blood spilled as rivers in Syria but just by other arabs “is not actually a nice thing” of course, but not serious enough to create a consensus in the UN for a resolution of condemnation after more than a year of killing. So let’s continue to look at the only SERIOUS issue in the whole of the Middle East, which is, of course, the Palestinian problem and the israeli guilt. It would be hilarious if it was not so deeply tragic. Ray and Michelle and others of their kind are right. A solution of the palestinian problem is all the world needs to be a perfect (well almost perfect) world. If only Israel as the only microscopic jewish state in the world would disappear…everything would just be truly OK… My compliments to smart and intelligent brains of this kind. The world needs this kind of wise people. Charles, I must say, i really had no intention of writing anything here, but your clueless responses are begging to be corrected. What exactly are the “tactics” that Israel is currently using and has used for 60 years? Surviving against overwhelming odds? Are those the tactics to which you refer? Or how about Israel’s absolute restraint in defending itself against the the Palestinian Hamas, Fatah, Islamic Jihad and the Iranian Hezzbolah. Israel uses absolute restraint when defending itself. It’s not perfect by any means. Mistakes are made and sometimes rules are violated by the troops on the ground. But that makes the point that there are rules governing conduct in the first place. Israeli military planners go out of their way to avoid civilian casualties. Unfortunately, it can’t always be voided when the people you are fighting fight like cowards and launch their missiles from school yards, hospitals, mosques, and civilian apartment complexes. If Israel really wanted to rid themselves of their problems, there would be no more Palestinian problem . . . Believe me. Gaza would be a beach front club and 18 hole golf course. Lebanon would be ruble if Israel were to ever fight a war without its per verbal hands tied ( due to the need of reducing civilian casualties). Think back to world war 2 and Vietnam and Korea where waring parties simply carpet bombed cities to ruble with the civilians and enemy combatants in the cities. We don’t conduct outselves that way now but there is always a shot that Israel will get fed up one day and just flip out and end the problem. I would not blame them. Lastly, let me just say this. Israel is a real and legitimate country. Whether you like it or not, the land you claim is gone and not coming back. What you and so many people like you advocate is lunacy. Did the Americans give the American Indians their land back? How about all the times the map has changed over the course of time? Do you everyone always got their way? No is the answer. The best bet for the people calling themselves palestinians is to move on and make. Life for themself somewhere else. It’s time to move on now. Thank you Tarek Bokhchi. John Lennon couldn’t do it either in the last 40 or so years and he was so elegant to sing.. Anyway.. The Olympics are over so what else is there to talk about? How about religion? What would you do if you were a prophet (or any other type of leader)? Wouldn’t it make sense to make your people believe they are special? You promise them the world or a piece of land or even heavenly sensation after death.. Well and while you’re at it you might as well predit hell damnation to all others who don’t believe you. Why else would anyone follow your lead if you don’t make them feel special? Have you ever heard of a religion not propagating they bring you the only truth? Why is it so hard for people to accept that they are no different than someone who was born in a different family, in a different country? Why is it so important for people to hold on to the idea that they are special? What makes it OK to feel so special that seeing other people hurt or die makes you shrug your shoulders? Why is it OK to hurt people who don’t believe you are all that special? lemme clear it first… The article is lop sided…….but lemme also assure you that whatever is wriiten in this isnt the truth……..The truth is everyones egos are inflated so much now that this soon will end up in smoke…..no country is a saint…….but no country has balls either to stand up and say its wrong…….every country is for himself…….Its time that people themselves take a decision and end the carnage everywher in this world…….other wise these politicians will eat us alive……a small step like breaking the berlin wall has changed the course of history…….sittin on the other side of the computer and taking potshots at each others comment wont help u with anything…..if u really want to change something then change yourself…..if u cant do it then keep ur mouth shut and watch as this world will go to dogs……..
@ Joes comment on July 30th. Your very correct about your comment your bang on. I could not have said it better myself! The whole Palestinian issue is the biggest shakedown in world history, all facilitated by the UN. Ah yes, the usual party line. As long as there is anything wrong anywhere in the world, Israel must not, repeat, MUST NOT be accused of any wrongdoing. You think the occupation of the territories is bad? But XYZ committed even worse crimes! You think rampant racism in Israel is shameful? But the Muslims suppress their women! .. and so on, and so on. And thus, everything is well in Israel, thank you, nothing to see here, move along. Frankly, that’s a pathetically weak line of reasoning. If you don’t hold yourself accountable to any moral standard at all, then it will just cause yourself to change into something you probably don’t want to be. The road to fascism is wide open to any society, not just Germans and Italians. And it’s going to end in disaster, as it went the time before and the time before that. By nature I love history because history teaches how we humans never really change our behavior. In this article’s respondent, you find many people who are truly bless with ignorance. Throughout human history the Jewish people was displaced by their occupiers so as to stop them from gathering up and starting a resistance, btw, this includes the Italians(Romans) and the Brits, forward to 20th Century, Hitler killed millions of Jews and after the WW2 ended the world felt bad and created this nation called Israel, well alot of people in the surrounding community called Middle East were pissed they hate Jews, which by the way, historically are their cousins, all descendants of the Hittites. And now alot of uneducated people in the west did not realize that our grandfathers as great as they were are once who put Israel where it is now. So ponder this people, if you put children in the yard with a dog and they continously hit the dog with rocks and then the dog bites several of the children who is at fault? The dog, the sadistic children who throws the rocks or the idiots that puts them together in the first place. The big loser here is Judge Goldstone who whilst awaiting to be appointed to head the UN sponsored commission has allready written his report on Syria in which he strongly condemns Israel. 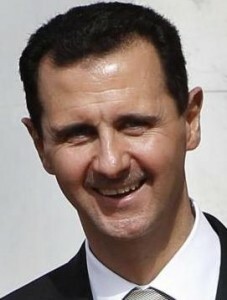 Well did you really expect the UN to condemn Assad ? LOL It wouldn’t be the first time Israel ceased to be a country… but perhaps the last? It would have probably been best to follow your intentions of not writing anything. We probably disagree on the premise. Jews in Israel wouldn’t have had to “survive” had they not stolen land that wasn’t theirs. Like a thief claiming self defence. And you say you wouldn’t blame Israel if it flipped out? Do you also not blame the Germans for flipping out on the jews? People like you should join hands and be put on a nice little ship to space to make their own crazy world somewhere else. I am also disappointed at how the UN passed so many resolutions against Israel because of religious zeal. But wait, haven’t you forgotten something, Paul? Wasn’t resolution 181 in 1947 based on religious zeal? Oh the hypocrisy. Israel, as with every other country on this earth, is defined by boundaries formed by man (not God). Israel’s borders, as with the Palestinian borders, are dynamic and one day – as I mention in previous posts – the powers that be will change and you will find yourself at the other side of this argument. Palestinians or Arabs will be establishing realities that Israel cannot change, their homes will be demolished because of their resistance (i.e. terror), and their people will be displaced. And hopefully then, the powers that be will have the same response to Israeli suffering then as they do now to Palestinians. The Palestinians wouldn’t even have to come up with ridiculous lies to justify their aggression, they’ll just be using the same Israeli excuses! Yes, you are right. It is time for Palestinians and the Arabs to move on, but not in the direction you are thinking. On the one hand we have a UN agency judging Israel by the standards Israel tells the world it has. On the other hand we have the “Israel is not as bad as the worst example we can find” defense. One has to wonder why this defense which has always failed (we are somewhat better than they are) continues to be used. The UN have never been anything more than a bunch of latrine shifters. they were when I lived there in ’73 and they still are. As As Golda Meir said that (paraphrase) The Moslem world could put forward the a motion that the earth is flat it would go through. After WWII Russia occupied German East Prussia, evicted by force all the Germans, so did Poland who absorbed the eathern part of Germany. Poland also evicted the German inhabitants. Their reason: they were victors after a war.There were and are no protests by the UN nations. Victorious Israel after the 6 day war occupied many territories but gave them all back except the West Bank. Continuous protests by the UN nations with few exceptions. Where is the logic? Let someone explain. funny innit. Israel accepted frontiers as defined in Resolution 181…Jerusalem was not included in those frontiers. The West Bank, Golan Heights,Gaza were not in those frontiers. At the end of WW2 the law of conquest was abolished due to the problems caused by German Occupation and the subsequent refugee issues. By 1948, and when Israel was made a state even though the Arab majority did not want it, The Israeli government knew the law of conquest was null and void in the new modern world. The British withdrew from Palestine and the Jews took advantage of that withdrawal to attempt to steal all of Palestine and drive the Palestinian Arabs out. Plan Dalet and previous plans starting in 1947 were implemented to achieve these expulsion. Ashdod and Ashkelon and Sderot were once Arab villages whose occupants were forced to leave by jews along with over 400 other villages after which all building were demolished or used to house jews. In many cases the beds were not even cold. The Arabs surrounding saw what was happening to the Palestinian Arabs and lodged a declaration of a defensive war against the jews to protect the Palestinians. That Declaration was lodged in London. So contrary to Zionist History…the War of Independence did not start because Arabs attacked Israel. Israels jews were already attacking the Arabs. Palmach,Irgun,Hagganah,Sterngang jewish terrorist groups were carrying out the actions against the Arabs. After the Six Day War which Moshe Dayan admits was started deliberately by Israel for the purpose of gaining more territorial ground(see Greater Israel Dream) the UN in Resolution 242 STATED ACQUISITION OF TERRITORY BY WAR WAS INADMISSIBLE. Israel was required to withdraw from territory taken in the Six Day War. Israel argued it did not mean all the territory. It did mean ALL the territory taken as it stated …”territory taken in recent hostilities…which meant,Golan Heights,Sinai,WestBank and Gaza. Israel has no sovereign right over Occupied territory and therefore has no right to build settlements there as it violates the Fourth Geneva convention re transfer of the occupiers people to occupied territory which it forbids. ALL settlements are illegal. The law of Occupation governs Occupied territory. Israeli Domestic Law has no authority in Occupied territory so all land it has taken under Israeli law is illegally acquired . All Occupied Territory except that deemed Israeli by the Palestinians will be all Israel will be allowed to keep. WHAT ISRAEL KEEPS WILL NOT BE UP TO ISRAEL. Also bear in mind. Ceasing construction in settlements is not a precondition either. In 2003 Israel signed the ROADMAP agreeing to cease all construction in settlements including natural growth in accordance with the Mitchell Report. All settlements and outpost built before 2003 WERE TO BE DISMANTLED.Israel has done nothing . Israel ignores its obligations and its compliance with International Law. My last post though truthful and not abusive but factual has been scrubbed. Lewander…Israel did not give all back except the West Bank at all. That is a lie. Golan Heights is Occupied Territory as is East Jerusalem as is Gaza as is the West Bank…all Israel gave back was the Sinai. Right of Conquest ended with the second world war. As it stated in Resolution 242 acquisition of territory by war is inadmissible under International Law and Israel was fully aware of that as it was fully aware of the Fourth Geneva convention which prohibits the transfer of the Occupiers people to Occupied territory making settlements in the West Bank beyond the greenline illegal. You can scrub my posts all you want but it won’t change the facts or the International Laws that Israel pledged to abide by when it became a state. Israeli Domestic law has no juridiction in the WestBank. No matter how many settlements Israeli legalises…they remain illegal. The Law of Occupation applies. There is a lot of hypocrisy and Israel is always at the center of attention in the middle east. Israel already tried to make peace with the Palestian people and Hamas but they reject peace. They don’t want peace. Why should Israel give them land if they will not live in peace with them? Its a good buffer zone because all it will allow is Hamas to launch rockets more centered in Jerusuelsm. NATO is a joke. We need to stop supporting it. They been useless in trying to get anything accomplished in Syria. abram, the founder of your org, did not believe the geneva convention applied to israel. they were special. the juxtaposition you offer is just propaganda. you inflame the ignorant by being deliberately misleading. this is wrong. by being this misleading you are living up to the misperceptions and biases of those who expect the worst of you. it will have a cost.